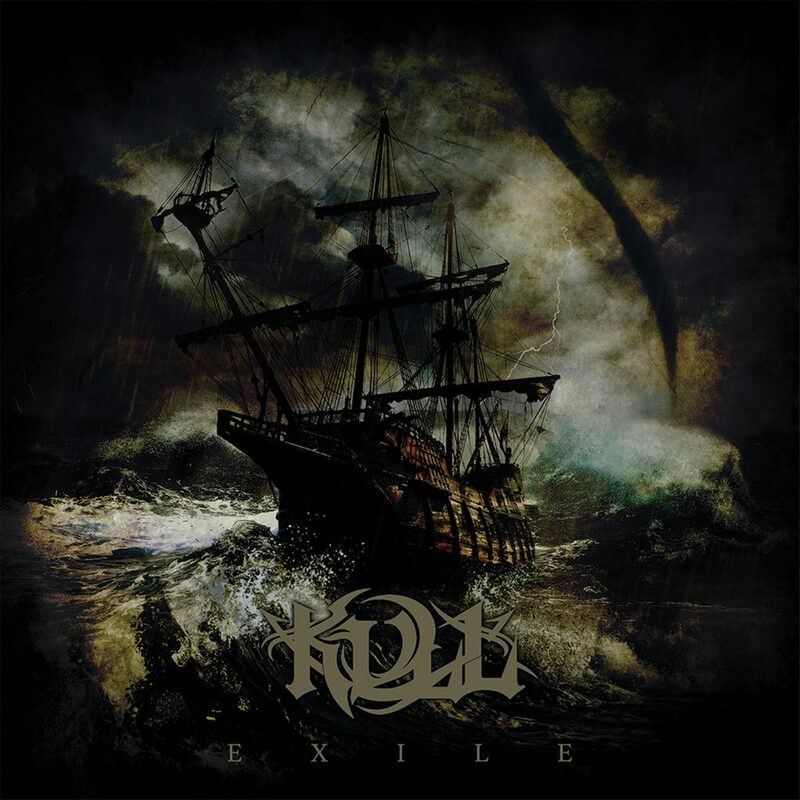 On May the 10th Kull will be releasing their debut album, titled Exile. 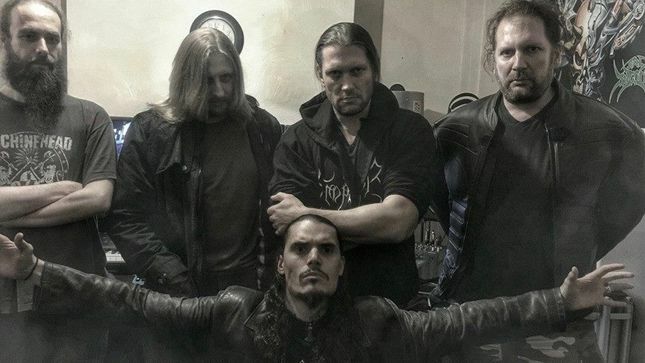 DutchMetalManiac’s Tim van Velthuysen recently interviewed them. Hey, congratulations with your upcoming debut album, Exile. It really is a masterpiece! Many thanks! It’s taken a while to bring all the disparate elements together and reach a point where everyone is fully happy with the end product. I can only thank all of those who have so patiently waited for Exile to finally see the light of day. It’s their support that has made this possible. Exile originally was planned to be the 7th album by Bal-Sagoth, your other band. What made this change and instead made Exile to be the debut album of your new band, Kull? The material for Exile was composed purely for Kull, with the exception of certain passages that were in the Maudlings’ repertoire and hadn’t been used elsewhere. Yet, even those sections were thoroughly reworked so that the compositions for the debut are entirely original. As for the seventh Bal-Sagoth album, Byron has repeatedly and publicly stated that he views the Hexalogy is complete. This certainly doesn’t rule out any future work by all those concerned but there are currently no plans for a seventh installment. Byron has been exploring further stories set within the Bal-Sagoth universe in different media such as comics and short stories. Consequently, a new vehicle was needed to fulfill the compositional journey for Chris and Jonny, which is how Kull came into existence. How does it feel to have this debut album to be released soon? We’ve all put a lot of work into this album – Chris and Jonny especially. To have our vision about to be realised is indescribably awesome. I’m excited that people will finally be exposed to what we’ve mostly kept under wraps. I know that many out there feel that this is long overdue – it’s time to unleash the beast. Alea Iacta Est! In what way Kull’s music differs from Bal-Sagoth’s music? I think a new dynamic has created something that while certainly comparable is nevertheless markedly different from what has been previously heard. The tracks on Exile are in many ways more direct, less meandering and perhaps more concentrated than prior compositions by the Maudlings. Bringing different elements, new technologies and a fresh mindset with no constraints due to any expectations which may previously have been in situ certainly have an impact on the character of the music. As does the inevitable development of the composers and musicians involved in the project. This is undeniably a Maudling project but for those who know their back catalogue, it remains unequivocally unique, standing separate from what went before. Can you tell something about the story behind Exile? Lyrically, many of the stories for Exile were developed from stories that were planned or penned many years ago for a non-musical project I had in mind. However, the album doesn’t follow a single chronological narrative. Rather, I see the songs as a series of snapshots in time. Some of these are analogous to our own history, some are very much not; One of the stories that recurs, for example, focuses on the exiled heir of a principality taken over by the machinations of a religious zealot and his attempts to seek worldly power and dominion. Yet there are also tales that take place within the same universe thousands of years prior. There are still others that take place in a history far more familiar to us, but still with a twist that ties them into the overall lyrical framework. Rather than a straight narrative, I see each track as a snapshot of a specific scenario that has taken place across a wide and all-encompassing multiverse. Though, there still remains throughout certain elements which tie everything together. Readers question from Michael Erickson: Does Tarkan writes the lyrics ahead of the instrumental music and is any of the instrumental music based on his requests? When we decided to undertake the challenge that has become Exile, one of the first things we discussed was the importance of the music. We are all musicians and it was that – the music itself – which we wanted to take centre stage. Consequently, many of the compositions were arrived at separate to any lyrical input. Rather than starting with the will to tell a certain tale, I awaited something close to a complete composition and let that flow through me – dictating the story as it may. Sometimes, the lyrics arrived at would be nothing more than a tale of a universe dreamed up many years prior. Oftentimes there was more of an allegorical element… I’m not going to tell you which was which – I’ll let the listener/reader ponder that for themselves. Once all the elements were brought together, we would often look again at the arrangements and song structure based on what everyone had contributed and concentate these ideas down to the most salient and impactful points. Yet still the music remained the most important element in this undertaking. I really like the cover. Who made it and what made that person the best one for this job? We all love the cover and are very proud to name the multifariously talented maggotmeister from All Things Rotten as the artist who brought that to life. After working on our logo, the snake sigil and a few other bits and pieces with us, we came across that image in his repertoire which completely blew us away. He’s worked with many great musicians and shows no sign of slowing down. You can find his artwork here. For releasing Exile you signed to Black Lion Records. What makes Black Lion Records the best record label for Kull at this moment? Black Lion is a fantastic, vibrant, strong and virile label with an excellent selection of artists. As opposed the mediocrity of a larger label, we decided that Black Lion, where people who genuinely cared about what we were creating and would rabidly fight for the Kull banner was a home far more suited to both our outlook and aesthetic. Oliver is a true music fan and speaks his mind when it comes to such things. To have his support and that of everyone else at Black Lion means the world to me and every other member of Kull. Since kull also has another meaning in Finland, how are you looking at promoting Kull there? This is not something we had realised until recently. I think marketing in Finland might lean somewhat towards the GWAR aesthetic. Either that or they’ll just have to get better at that whole “willing suspension of disbelief” thing. Can we expect some Kull-shows in support of Exile? Maybe coming to The Netherlands? I’m not sure about the Netherlands specifically but you can certainly expect to see Kull taking to the stage once more in the near future. We’ve been held up in the studio for so long we’re like caged labrats clawing to get out – it is but a matter of time! From which bands can we expect more in the future, Kull, Bal-Sagoth, both? I would rule out nothing when it comes to either Kull or Bal-Sagoth. However, the concentration at the moment is on Kull. The Bal-Sagoth hexalogy may be complete but the Chronicles of Kull are but beginning. Thanks for your questions! Is there anything you want to say to our readers? I would just like to thank all those who have offered stalwart support to us as Kull and the brothers Maudling. It is, as I said at the beginning of the interview, those people who have ensured the towel didn’t get thrown in at an earlier stage. Our tribute is to be paid to these fine individuals. All we can do is hope it lives up to their expectations.